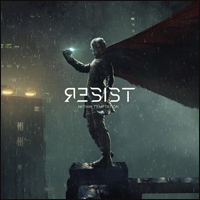 Dutch symphonic metal act Within Temptation, led by vocalist Sharon den Adel, are back with their seventh studio album Resist. The new record is another chapter in their collection all which are diverse in melody and subject with each featuring strong guitar riffs and emotive lyricism. Resist is no different in that regard. Their music is always cohesive and passionate and known for incorporating various genres and influences into their sound as they see fit. Not quite to the extremes or excess as a band like Amaranthe but there is certainly a comparison to be made. Within Temptation are most notably described as a symphonic metal band, and this album walks that line admirably, and die hard fans of Within Temptation should be pleased with this effort.